MAXMaps, the multi-functional graphics tool of MAXQDA, allows you to display your analytical process and its results in constant “live” connection to your data. Moreover, you may use the tool completely independently of your database in order to illustrate any given process, hypothesis or pattern in a graphic or diagram with an outstanding level of free creativity. Maps can also be a valuable tool for scientific explanation and can help to visualize complex relationships and theories. The MAXQDA Code Matrix Browser offers you a completely new way of visualizing the distribution of codes throughout a selection or all of your texts. You will appreciate the easy and intuitive handling of the Code Matrix Browser. The matrix provides an overview of how many text segments from each text have been assigned a specific code and can be exported to a variety of formats. The MAXQDA Codeline offers a fast and comprehensive view of the codes assigned to a text to enhance your text analysis. 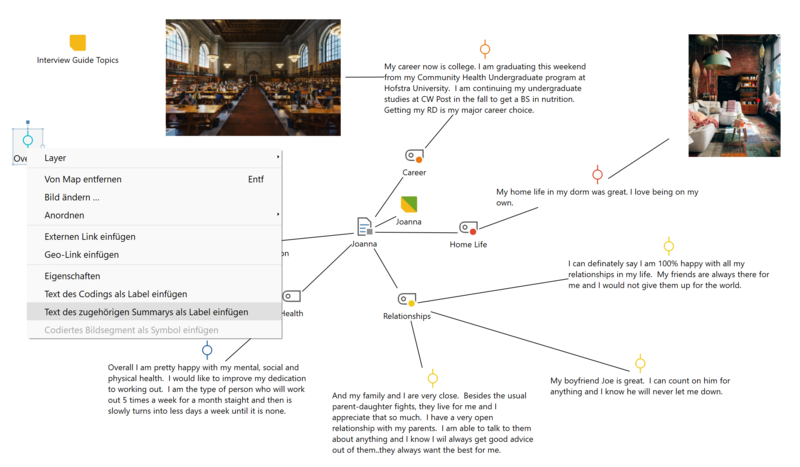 The diagram is interactive – just click on a symbol in a cell of the matrix and the text passage will show up in your document window. 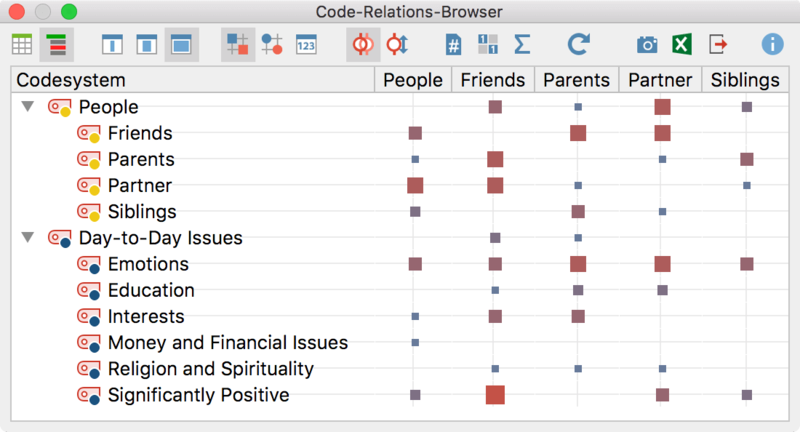 The Code Relations Browser shows the overlapping of your codes in a chosen document. This makes it easy to quickly identify possible connections between codes. The tool is also a good way to test the quality of your code system. Use the MAXQDA Word Cloud to quickly see which words are used in your documents. The different font sizes tell you right away which words were used the most and which words were used less. 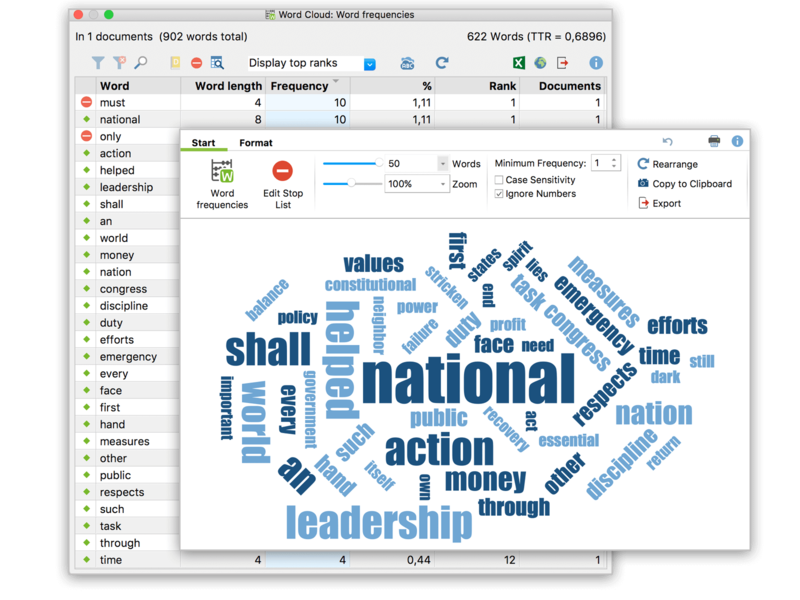 Word clouds offer you a simple way to visualize the most frequently used words in a document. Furthermore, MAXQDA puts the words in alphabetical order. The Document Portrait displays any text as a „painting“ of either all or specific, selected codes assigned throughout this text. Choose colors for your code to assist you in your analysis, e.g. a special color for emotional factors (red) or economical factors (green). At one glance you will be able to tell which factors played an important role at what point of your interviews. You can of course change the assignment of colors at any time throughout your analytical process with a few clicks. 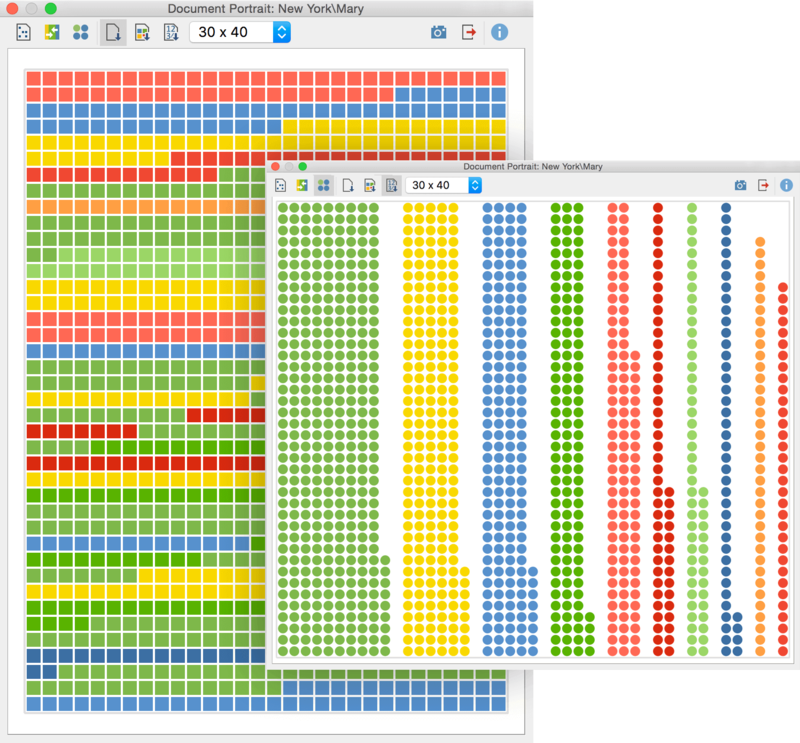 A single mouse click presents a striking picture, comparing texts at a glance and letting you know which codes were assigned in which paragraphs. You are completely free to decide which codes and texts should be included in the comparison. 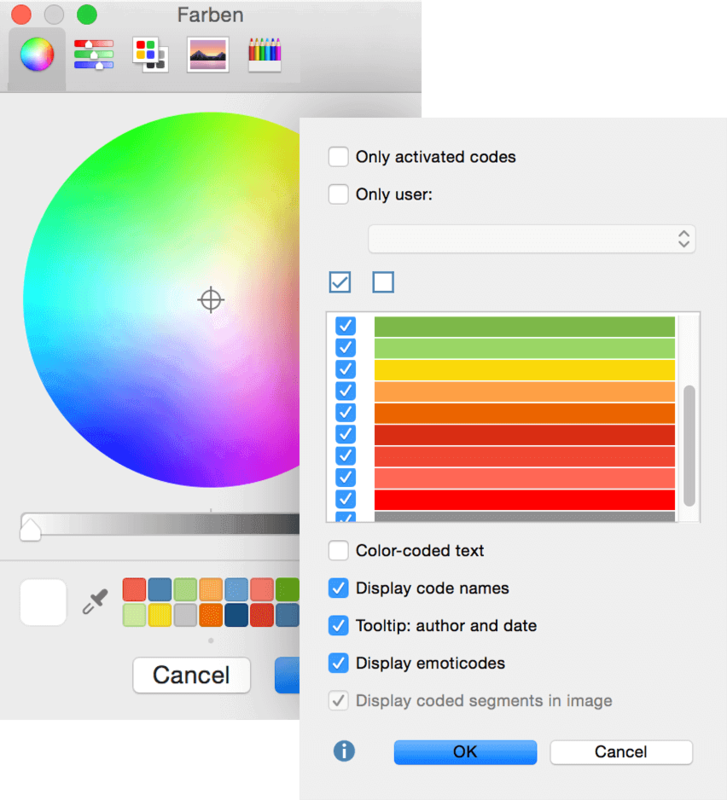 MAXQDA offers you more than 1,000,000 colors to use with your qualitative analysis. Assign them freely to codes, subcodes or texts. Color assignments are user-controlled and can be used functionally, not just merely as an aesthetic accessory. You can set any of your color stripes to invisible in order to work as easily and organized as possible (e.g. you can hide codings from another team member or from a specific code).